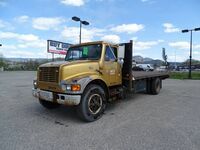 Buy Direct Truck Centre offers used truck models in Kelowna BC from a variety of brands. Our inventory is always well-stocked with an impressive selection of powerful and capable pickup trucks. 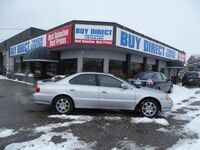 The best way to take home a pickup truck that won’t let you down at a price you can afford is with a trip to Buy Direct Truck Centre. 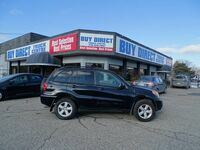 Buy Direct Truck Centre offers an extensive collection of pre-owned cars, trucks and crossovers in many different makes and models. 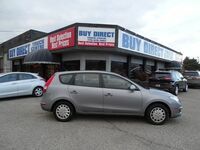 We also keep a well-stocked selection of wholesale vehicles. Selling wholesale allows us to offer our customers the best prices possible. Prices on our wholesale inventory are lower than retail right from the start. 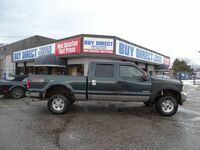 Buy Direct Truck Centre offers used models from all of the top pickup truck brands on the market today. This includes staples of the pickup truck segment. The RAM 1500 delivers workhorse performance paired with class-leading ride comfort. The RAM 1500 is available in multiple trim levels that optimize the truck for the needs of different drivers. 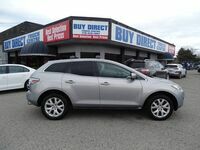 This includes models like the fleet-oriented Tradesman, off-road Rebel and high-luxury Limited. The Ford F-150 has become one of the best-selling vehicles in the world. This impressive pickup truck blends powerful performance with a healthy collection of comfort, safety and technology features. F-150 models can be found equipped with multiple options from Ford’s EcoBoost lineup of engines. These turbocharged engines deliver impressive efficiency without sacrificing performance. Chevrolet and GMC are not to be outdone. These related brands deliver offer impressive Silverado 1500 and Sierra 1500. These powerful trucks offer multiple V-8 engine options that deliver impressive performance. Silverado and Sierra models offer multiple cab and bed options and a healthy roster of equipment and technology features.